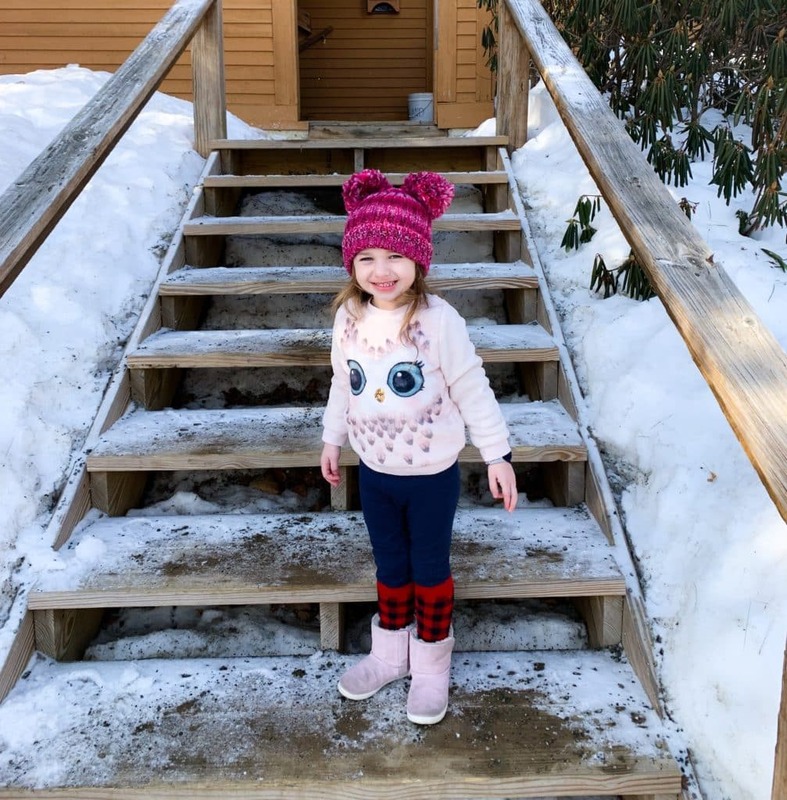 January proved to be a very “snow” filled month for our Family. 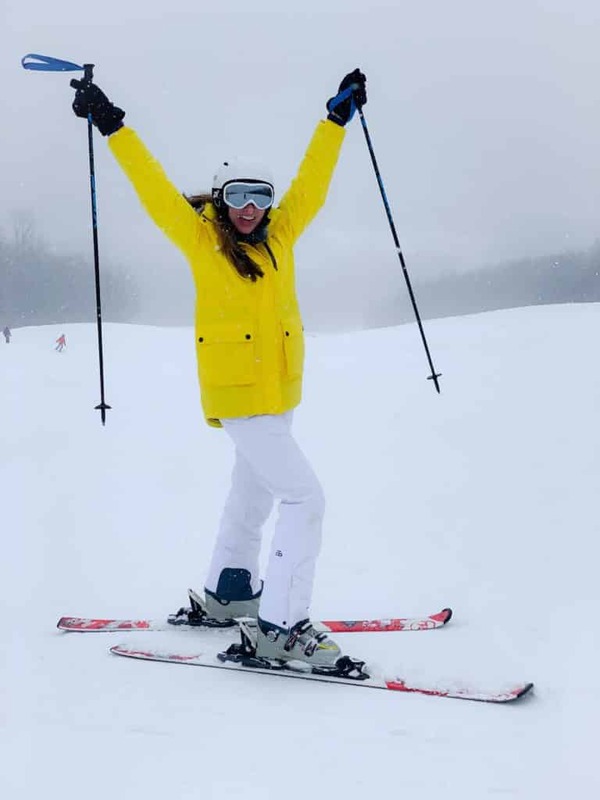 We had the opportunity to visit another ski resort for the third annual Momtrends Influencer ski weekend. 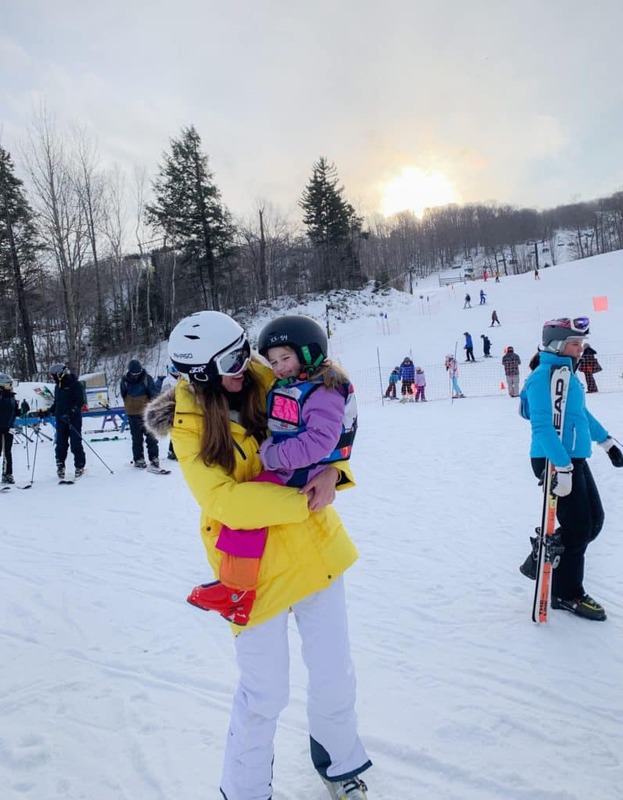 Momtrends and Mount Snow hosted an incredible Snow media event we will never forget! 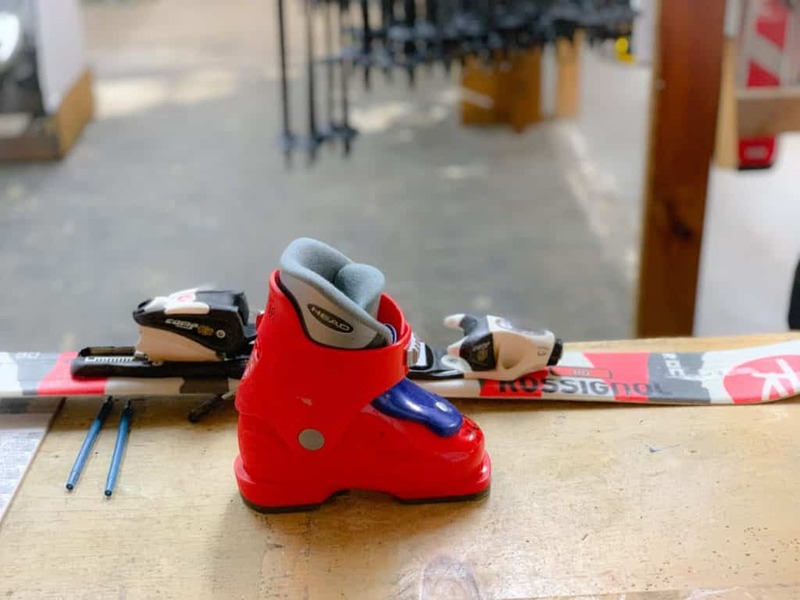 My family is one step closer to becoming more comfortable on the slopes thanks to this latest adventure. 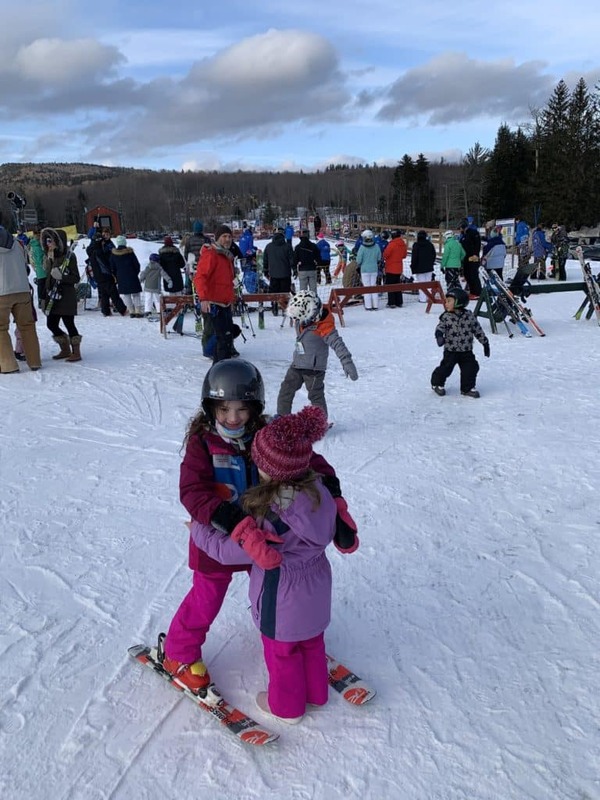 Mount Snow is located in southern Vermont and is a reasonable approximately 4 hour drive from lower Manhattan. We had a beautiful, scenic drive and it’s surprising how close the mountains really are in perspective to our home. We feel super lucky to have ski access to so many mountains just a drive away. 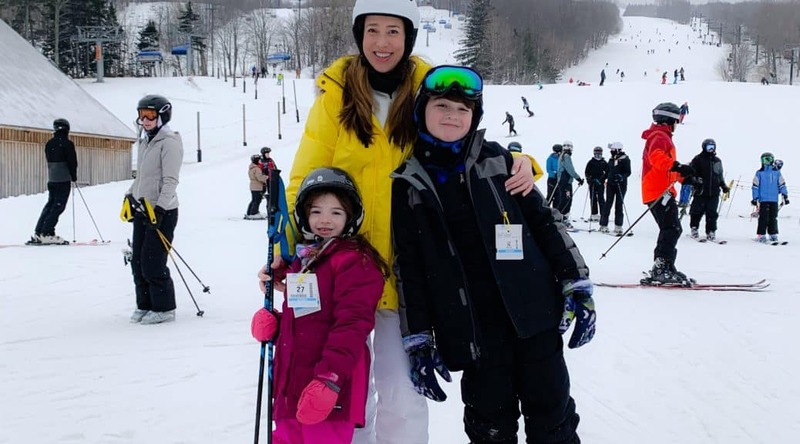 Also, be sure to check out the Momtrends Ski Guide here for a complete list of ski and boarding guides for families. This is the best way to find out reviews, tips and more! This was our first visit to Mount Snow and I will go on record to say we will most definitely try to make it back. The mountains in Vermont are truly majestic and this area is considered the closest “big” mountain to many Northeast areas. It’s clearly a very popular resort and I’m so glad we had the chance to visit. For any first timers, there’s an amazing new program available called the Peak Discovery Program. This would be perfect for people who are looking to ski or snowboard for the first time. 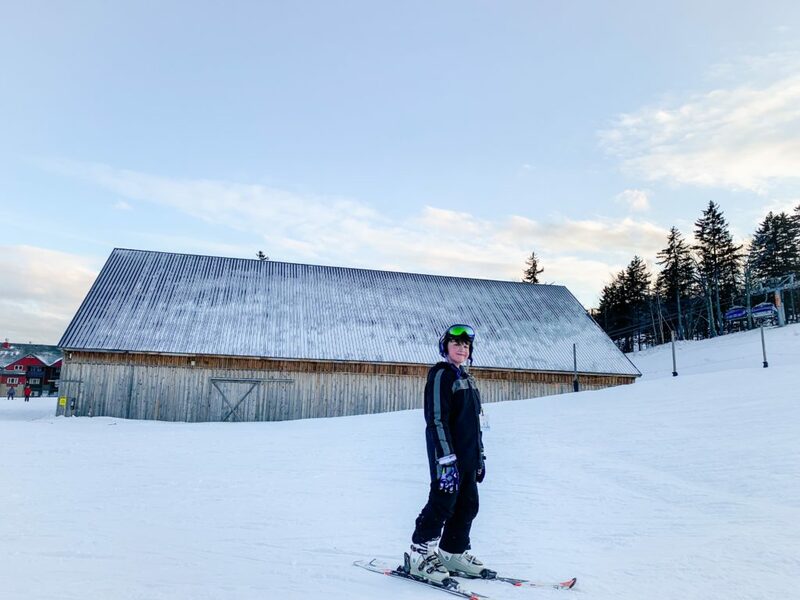 For just $139 a beginner gets three days of lessons, rentals, and lift tickets that are good at all 7 mountains across the Northeast, including Mount Snow, Hunter Mountain, Attitash, Wildcat, and more. 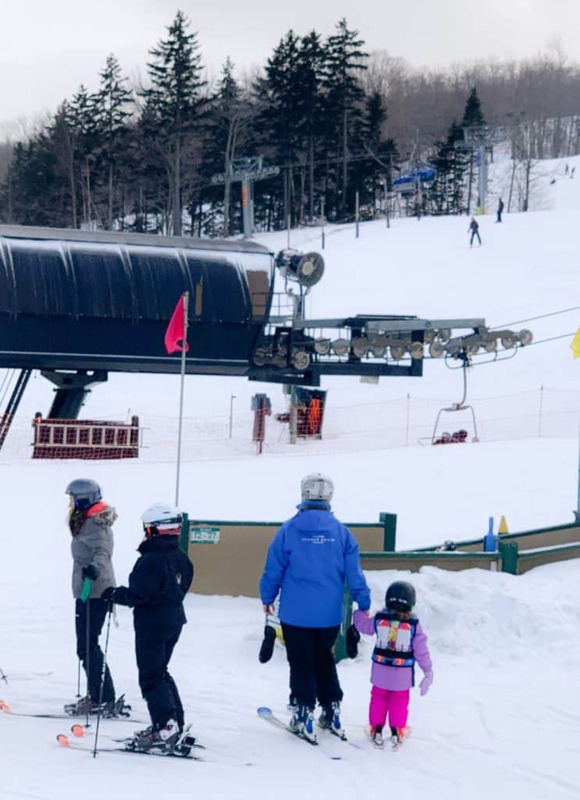 There are a ton of activities at Mount Snow aside from skiing and snowboarding. 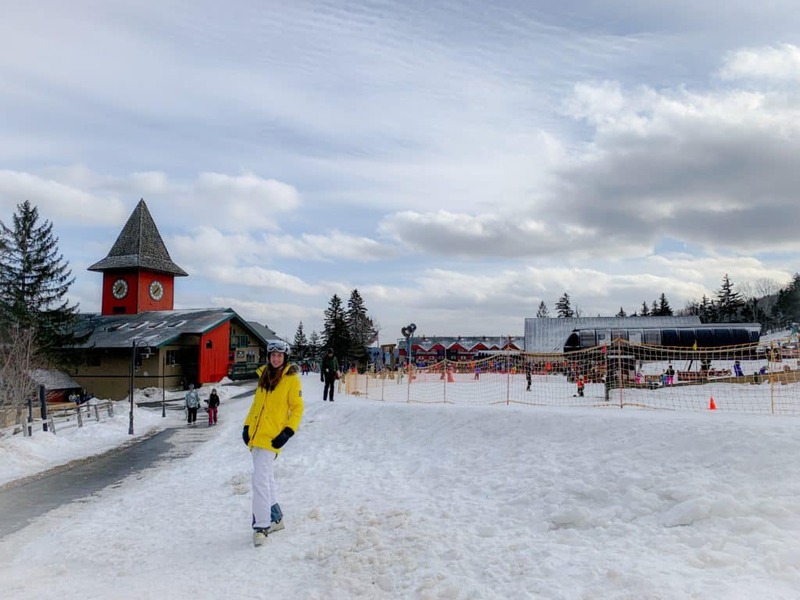 You can take a snowmobile tour, a snowshoe trek , and also go snow tubing. 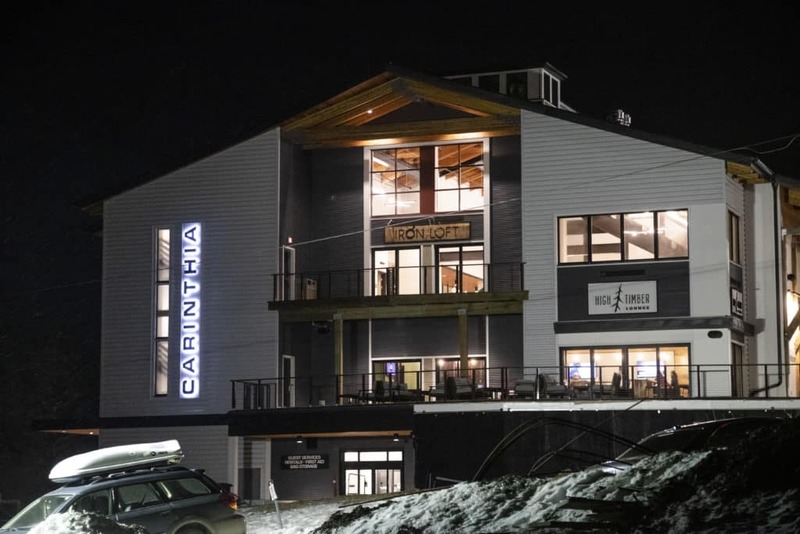 The new Carinthia Base Lodge is the newest addition which has some of the best dining options around. From what I’ve come to realize, ski weekends aren’t always “relaxing” per say. The trade off, however, is SO worth it! There’s a ton of stuff to prepare for the trip. Packing up everyone’s items takes me longer than I care to admit but trust me, you don’t want to arrive and realize you’ve forgotten an important item. With 3 kids needing all of their warm weather gear, I pack carefully and triple check. 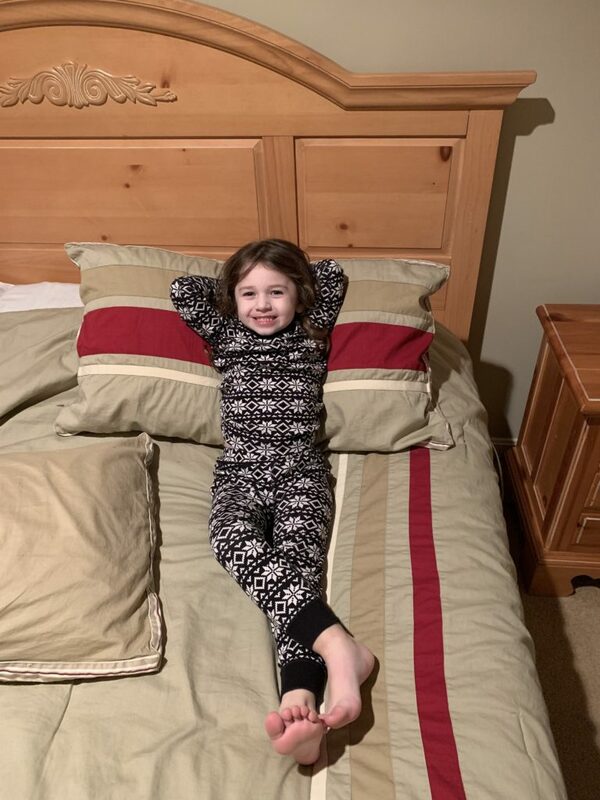 One trick we learned last year… is it’s best to do as many things you can the night before to ensure the morning goes smoothly. 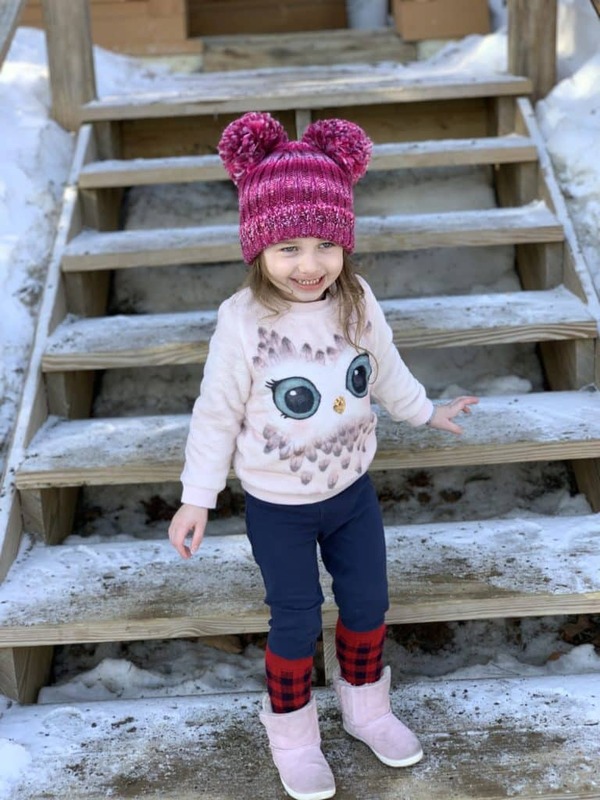 Sure, you will still most likely get flustered and feel like the scene in “The Christmas Story” bundling your kid up for the cold, but any little thing helps. One major thing you can do is get your rental gear the night before. 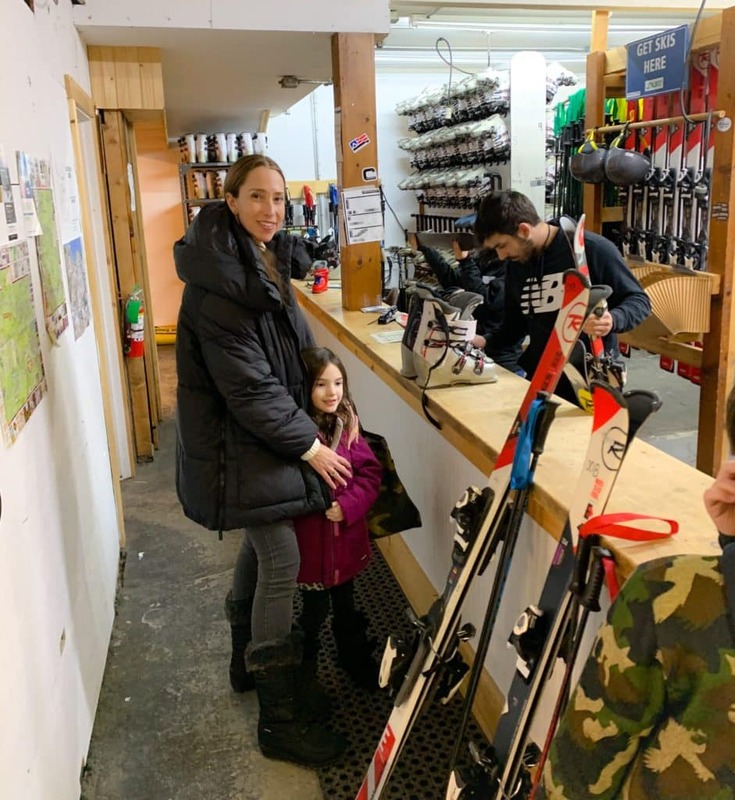 We went before dinner and picked up all of our skis, boots, helmets and poles. This was HUGE and I can’t recommend it enough. You don’t want to be the family waiting in line the morning of, because there is a big chance you will not make it to your lessons on time. Every ski trip I take, I pick up more tips. 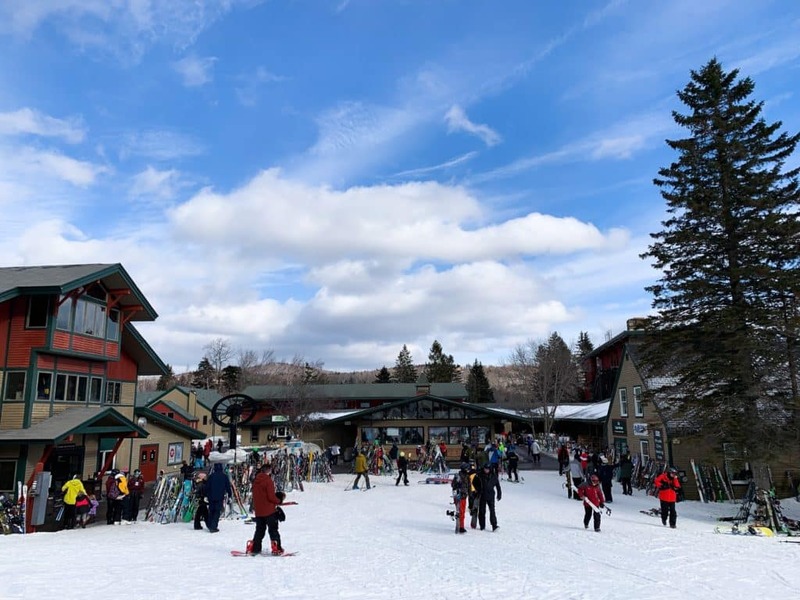 Unfortunately every ski resort is different so what may work for one will not always be the process for another. This is another reason why it’s best to get started as early as possible. Our family stayed nearby in the Deer Creek Condos. 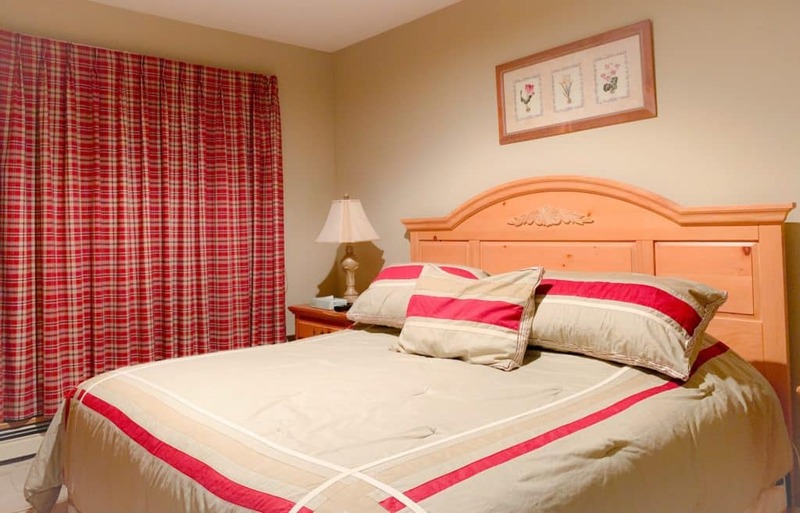 We have only recently stayed in accommodations such as these, and I have to admit… I’m a fan! 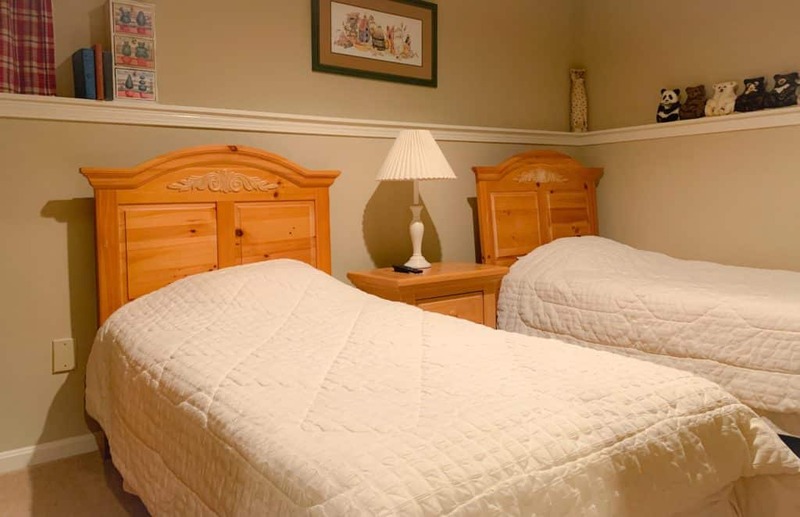 A traditional hotel room is now getting increasingly difficult with a party of five. 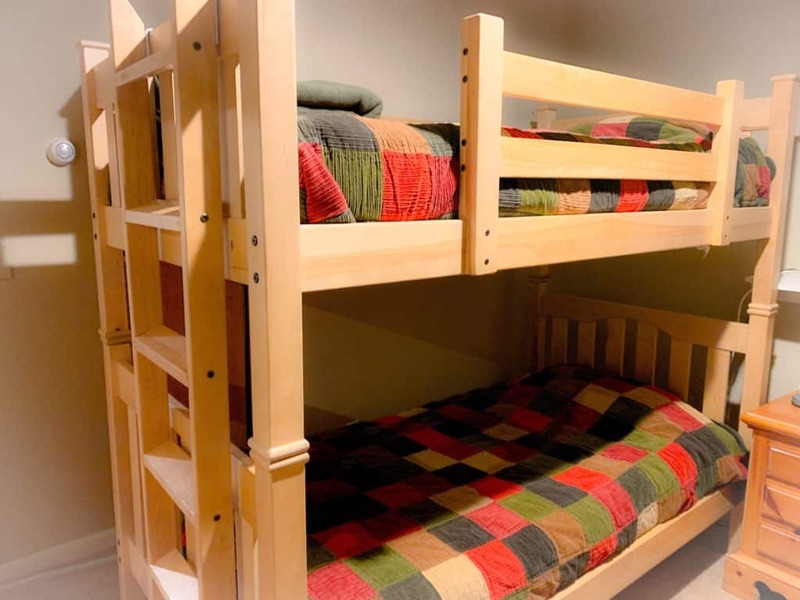 A condo allows for everyone to have more space and also a full kitchen to bring in our own food. If you are staying in a condo, I would recommend packing your own food, snacks, coffee and tea. I was able to prepare breakfast each morning and felt it was so much better for us than scrambling trying to find something to eat in an area we are unfamiliar with. 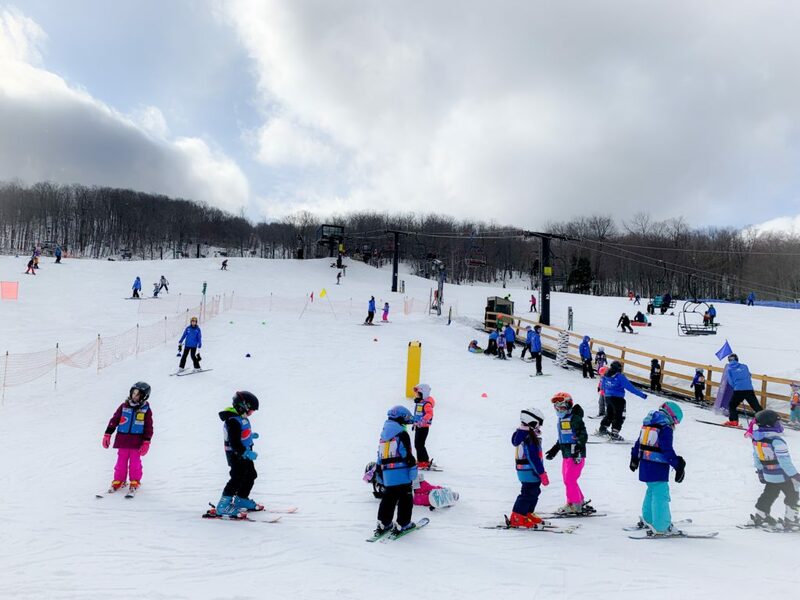 For any first timers you should know ski school is broken down by age and most likely your kids will be in different groups. 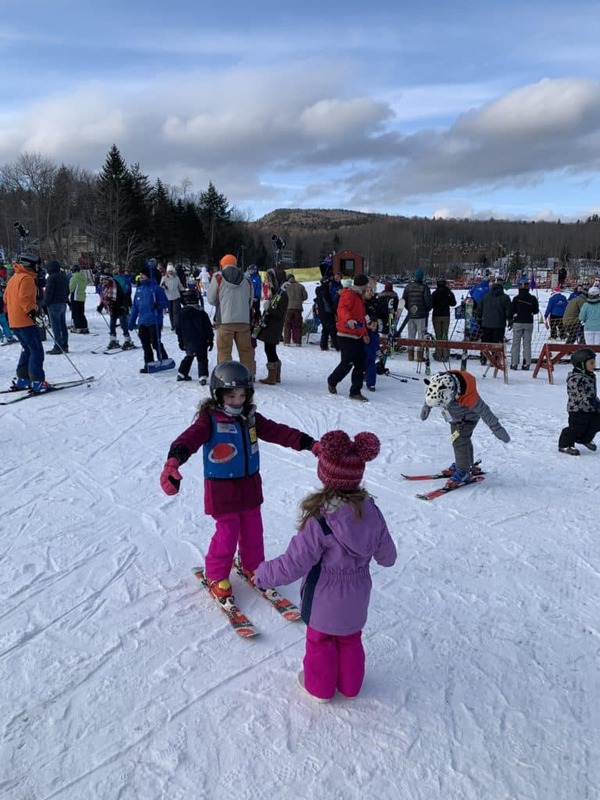 Mount Snow offers ski and snow board lessons for kids 3-14. For more information and what to expect click here. Lucky me who has 3 kids, had to check in 3 different areas. They were all close together in the same vicinity and I managed just fine with the guidance of the super friendly and helpful staff. It is advised that you arrive an hour before your child’s start time. Once the kids were squared away I had to hustle to make it to my own group lesson which I managed to do so by the skin of my teeth. 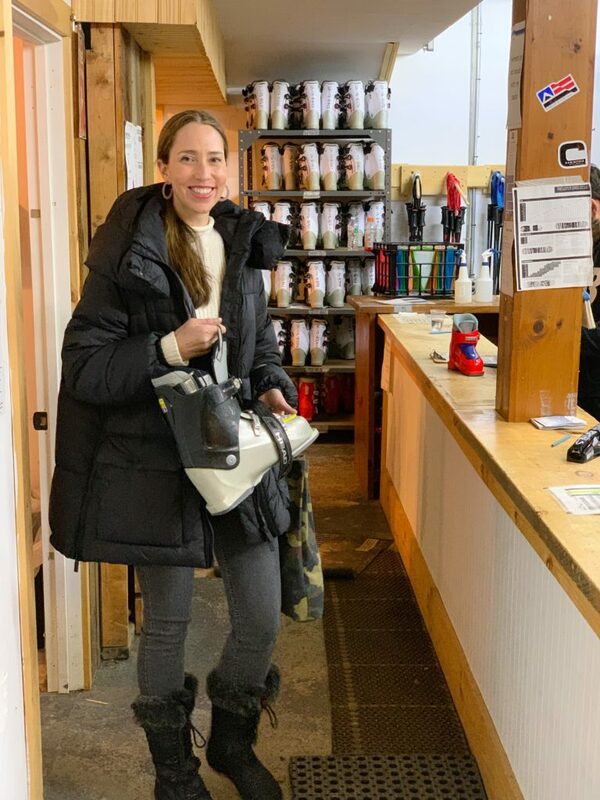 I will mention I’m now becoming somewhat better at getting my ski boots on and knowing how to get around the base camp in the quickest ways possible. It could take forever moving around this area on skis, so it’s best not to clip in until you arrive at your destination. 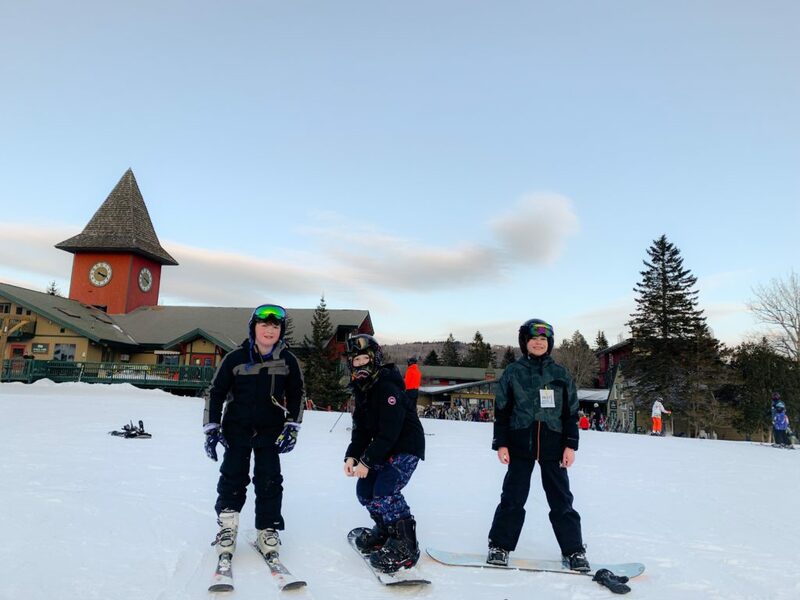 My group lesson was very helpful and the instructor was excellent at giving tips, providing helpful advice, and giving positive reinforcement… especially after I skied at lightening speed down a patch of ice! The claps from my group really helped my confidence! 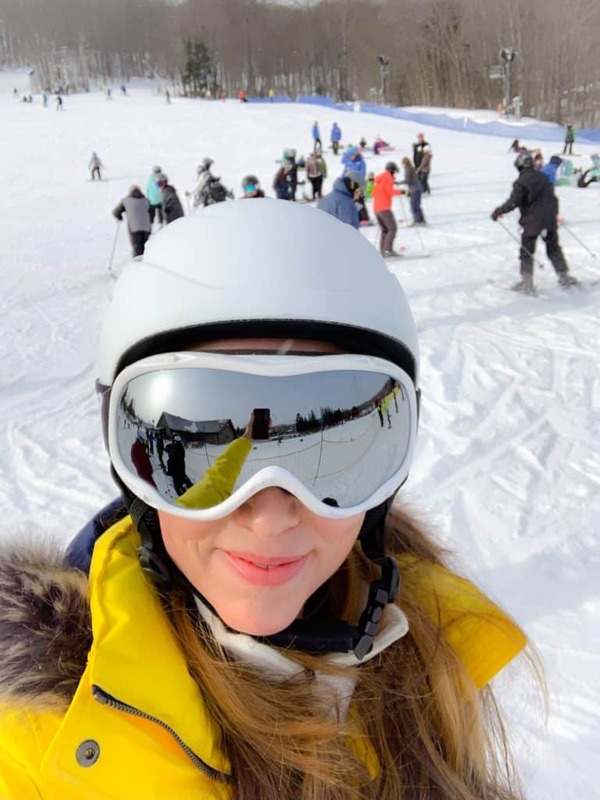 As a person who is learning to ski much later in life, I am all for any extra help I can get on the slopes. 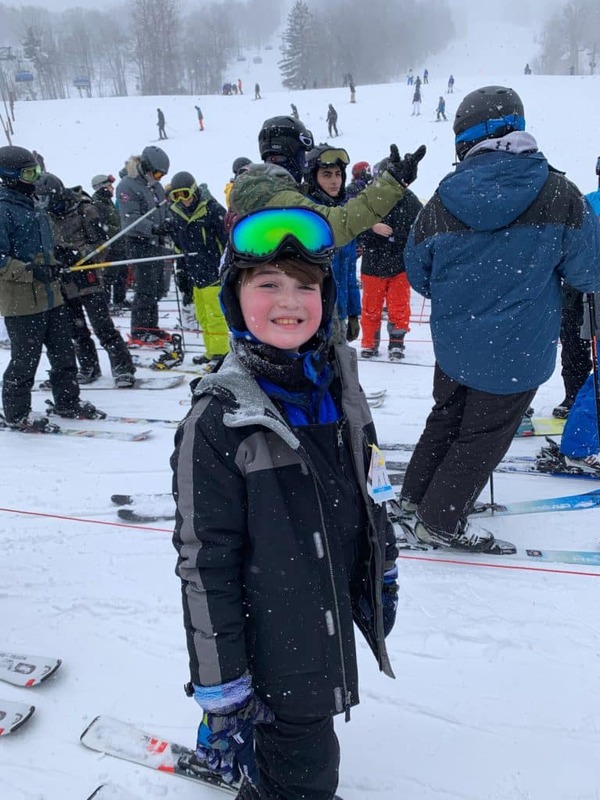 My son is the perfect example of someone who only started last year and after a few times, he is truly crushing it on the mountain. Kids learn at a different pace than adults and lack the “fear factor” that someone like myself may have. He has no problem flying down the mountain and I’m so thrilled he is loving this sport. 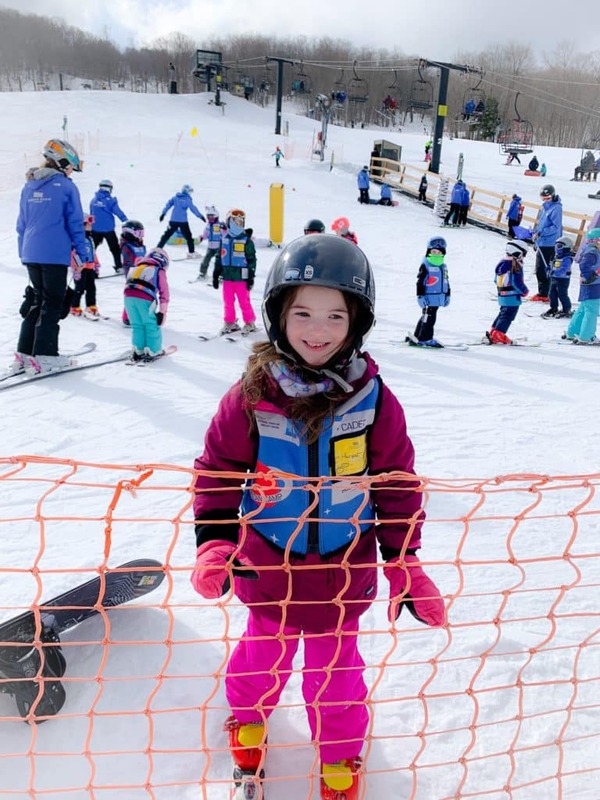 Most of the adults who really seem confident also learned as kids so it’s now my mission to get all my kids down the mountain as quickly as possible. 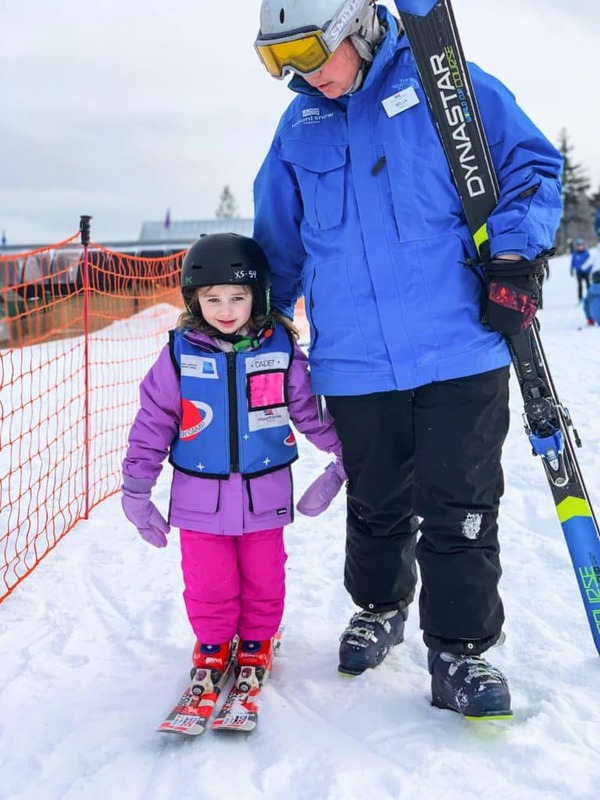 My 5 year old daughter had a great day during her ski school and I peeked in on the lessons from time to time. The instructors are just wonderful with these young kids and know exactly what to do. My daughter’s instructor told me she had a positive attitude the entire day and even went up a chair lift! It scares me slightly to think about but at the same time I couldn’t be happier! 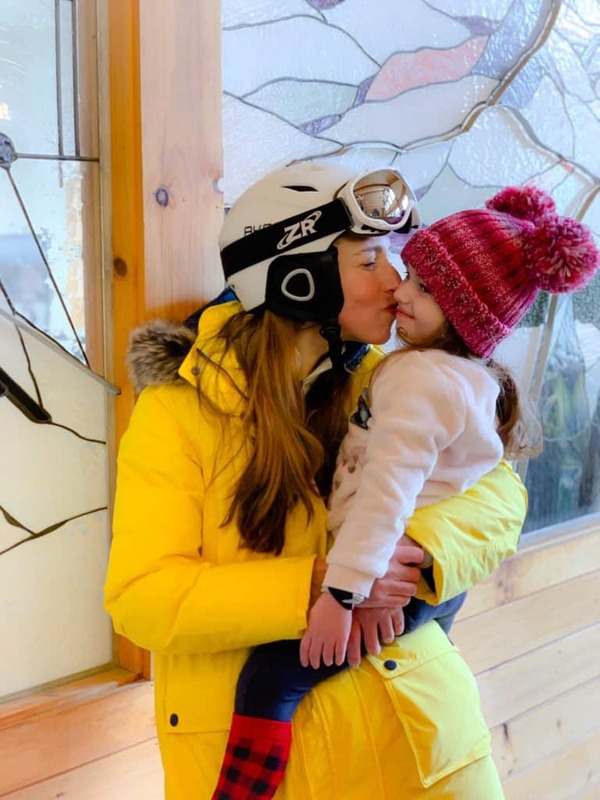 My little one had her very first ski lesson every. She is 3.5 and even though it seems young, it’s really completely normal to have kids on skis this early. Of course she was hesitant, but with little kids all around her doing the same thing she was willing to try. She looked so small and cute on the snow and even though I could tell she was unsure of herself, she kept trying. When my daughters re-united after their lessons, it really was the cutest thing I’ve seen in awhile. 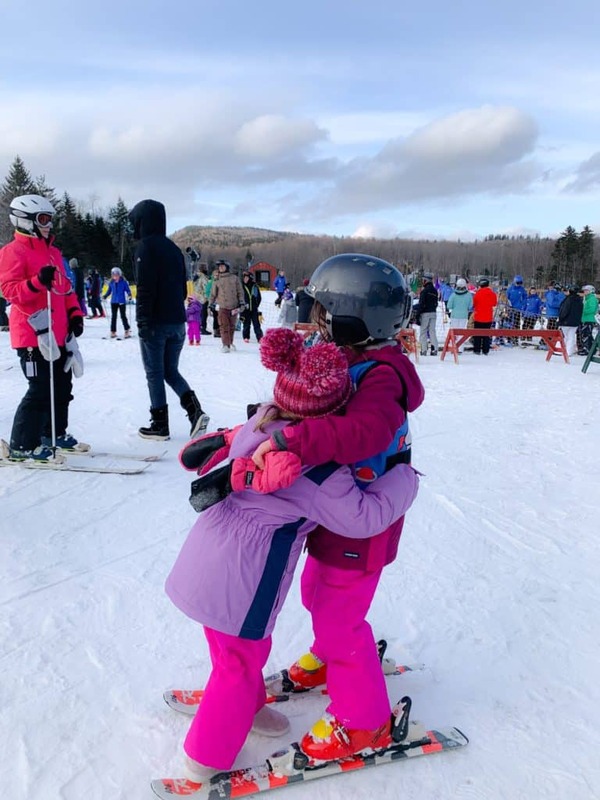 My 5 year old scooted over in her skis and they went in for big hug. I could see the happiness all over their face and they were clearly proud of their selves and each other. 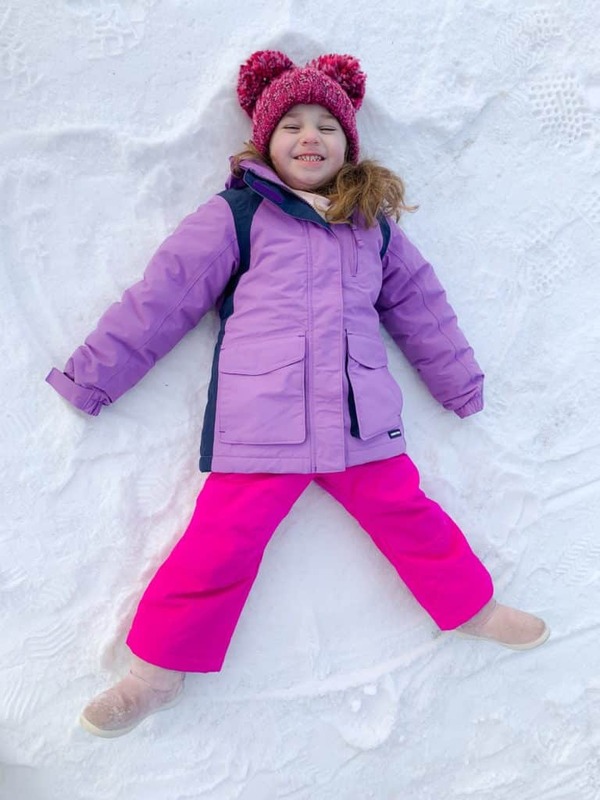 The hugs quickly turned to snow angels on the ground. One of the best parts of the weekend was having our influencer friends around to share the memories with. Our skill levels vary from first-timer to advanced but everyone encouraged each other and it was a great feeling! 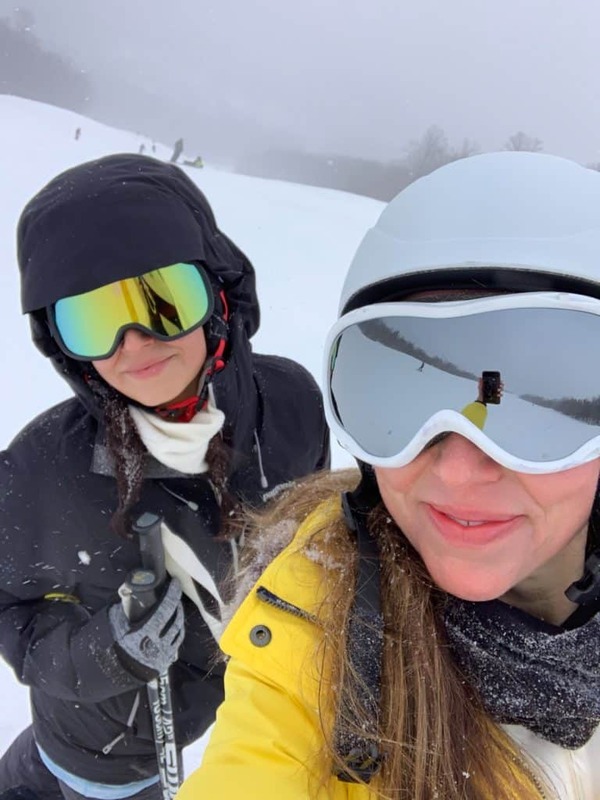 Skiing down the mountain with my friend @marinobambinos was a highlight and one day we hope to do it again! The kids were also lucky to have each other for the weekend. 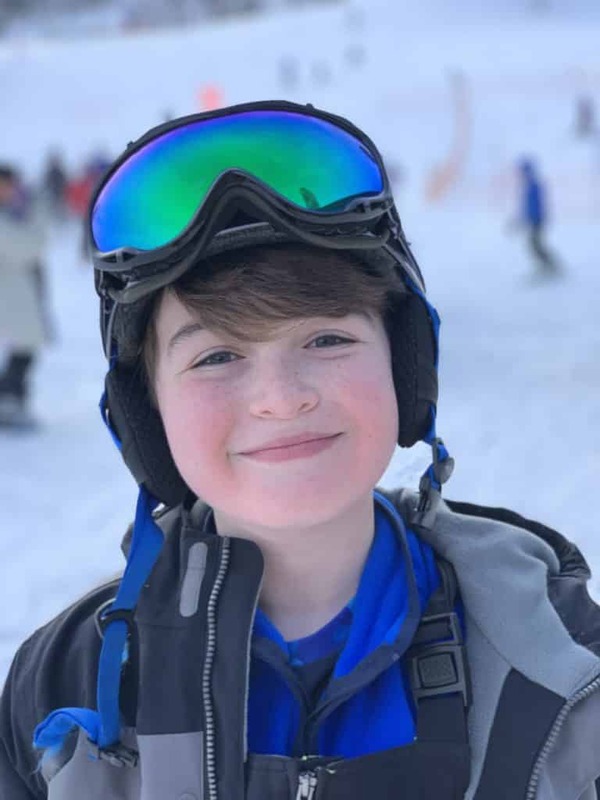 My son especially, enjoyed himself immensely having friends to ski down the mountain with. The boys were so cute and even over the course of 2 days they all visibly improved their ski and snow board skills. One thing is for certain, I will have to work hard to keep up with my son! 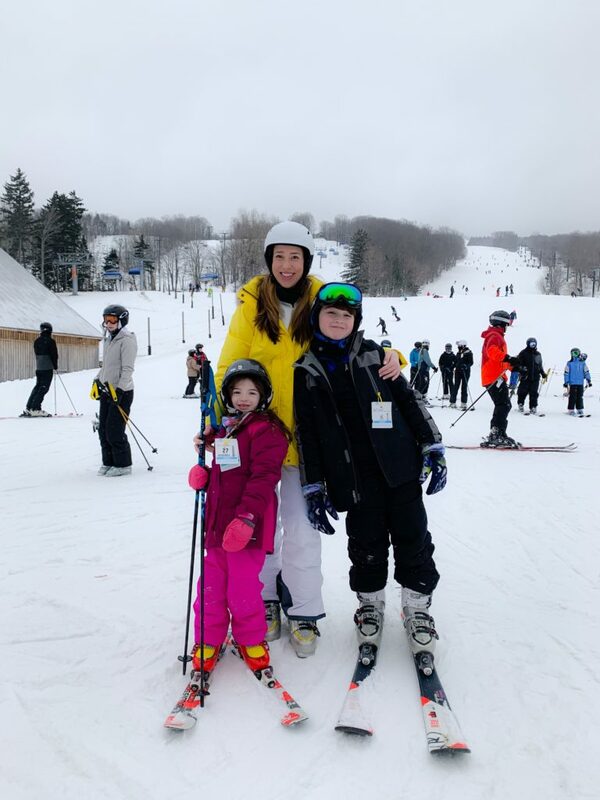 Thanks again to Momtrends and Mount Snow for hosting an unforgettable ski weekend for our family. I hope we can make you proud by getting our families on the mountain more often. I think the hardest part about anything is the “unknown” and now what we “know” it’s unlocked a new world for us! Bring on the snow!